Besides making sure that your outfits, makeup, and hair are all at its best, it’s time to get to the details by nailing an appointment (badum tsk!) at your nearest nail salons. Look at all these CNY themed nail art! If you aren’t into the typical reds, there is definitely something you would like from The Nail Edge that are more subtle yet suitable for the occasion. They are also the first home style concept nail academy and salon in Malaysia. Looking for something that doesn’t scream CNY but is still glam enough? Nails Craft is the answer. Located at Kuchai Lama, we love how they provide girly nail art designs while still maintaining certain amount edginess for the modern girl. Perfect for the feminine but also badass ladies out there! If you’ve ever seen pretty nail designs on Pinterest or Tumblr, chances are they can be done at Lash and Polish! These guys are good at what they do, so if you have a specific design in mind or if you are inspired by something and would love for your nails to reflect that, you know who to call. Located at Jalan Maarof, Bangsar. What’s a celebration without a little bling? 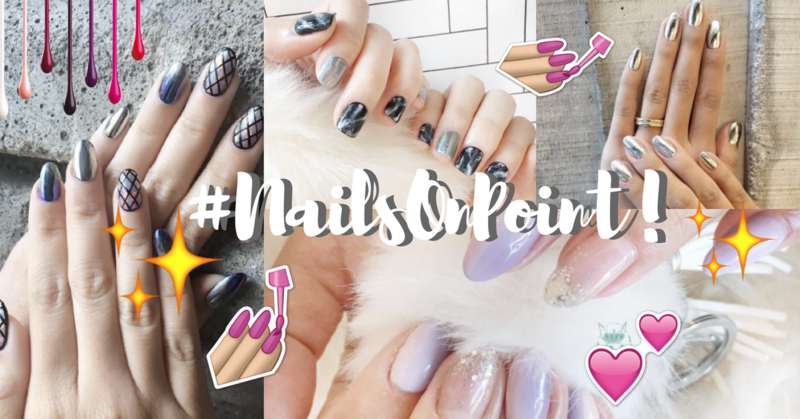 Amante has several branches around the Klang Valley so you definitely don’t have to worry about travelling far for cute nails. Not only that, they have some of the best gel nail services for those of you who aren’t into the whole nail art culture. Sleek! It’s a luxury to be able to do your nails at a salon, but it’s even more of a luxury to have a nail spa experience at the comfort of your own home! Nails On Wheels is Malaysia’s first mobile spa and they are having a collaboration with Grab to bring you an experience specially for this Lunar New Year. Just click on the Grab app to find the GrabBeauty icon. Limited spaces available so hurry up! We don’t leave out our Muslim sisters when it comes to pretty nails! With nail polishes that are certified as Halal, this salon located at Ampang Point offers meticulous designs. The ever so beautiful Nora Danish is one of the salon’s famous customers. If you are a massive fan of gel nails, Sommerset is where you wanna be. They have already started to open bookings for CNY and customers will receive an Angpow if you sign up with any package. Located at the streets of Telawi, Bangsar, this award-winning salon will not disappoint.